Our laptop is a few years old now and we've started to get pop up messages warning us that it's getting too hot, so we decided to try a laptop stand to try and prevent it overheating. The stand arrived very quickly and was well packaged. The stand's box is quite plain but it looks quite classy and has a clear picture of the stand on the back of the box. 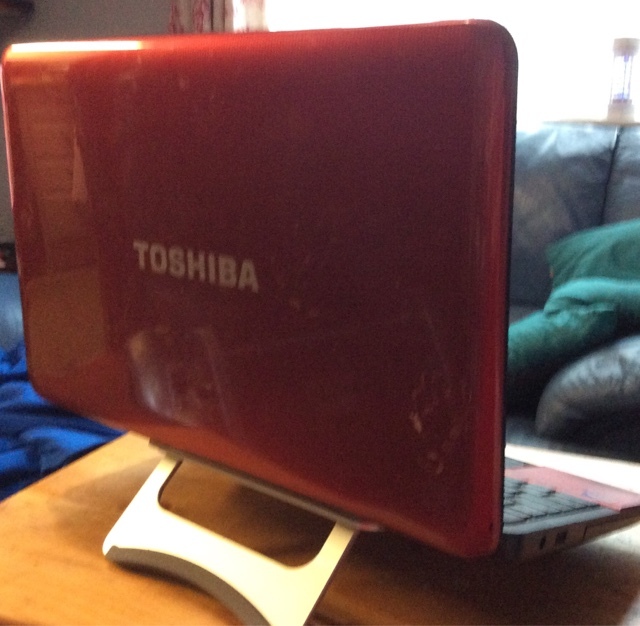 We used the stand with our old Toshiba laptop, but the stand is universal and can be used with all laptops and tablets. 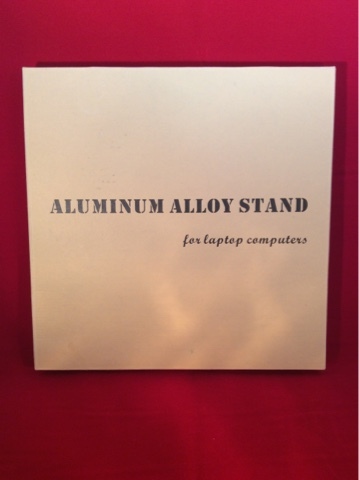 The stand is made of aluminium and it looks very sleek, it would be a stylish as well as a functional addition to anyone's desk. 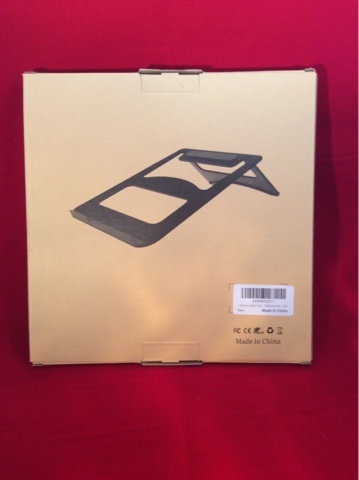 Both the body of the stand and the folding hinge feel very strong and durable. It feels like it would last for years. Because this stand has rubber feet it doesn't slide around on your desk or table. There are also rubber pads on the stand itself so your laptop doesn't move around on the stand either. Our laptop felt very secure on the stand, it didn't feel like it would fall off at all. We didn't have any pop up messages about our computer overheating while using it with the stand, so it seems to have solved that problem for us. 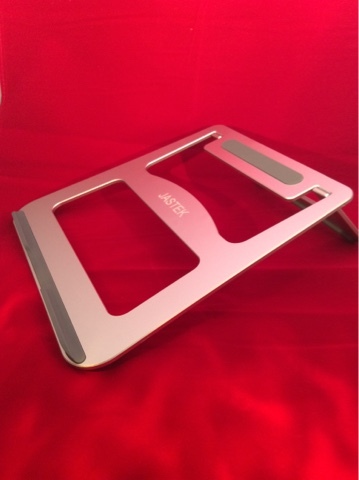 The Jastek stand has been cleverly designed with hollow cut out areas - this allows air to flow all around the base of the computer which should prevent overheating. The back of the stand folds down, and it's a very practical size to store and transport - it fits easily into our laptop case. It's very lightweight too, so you don't have to worry about it adding much weight to your laptop bag. This is a great stand, it looks stylish and it does the job perfectly so it definitely deserves five stars in my opinion.